There is no greater man than one who lives by his convictions and cherishes those entrusted to his care, and Tom Loper was such a man. The foundation of his family, Tom led by way of example through faith and unconditional love. In all ways, Tom looked to his Lord for guidance and direction. He used his God given gifts to touch the lives of all he came in contact with, and his kind servant’s heart resulted in life long friendships along the way. Deeply missed, Tom will be fondly remembered. Born in the Midwestern city of Omaha, Nebraska on November 18, 1925, Thomas Edwin Loper was a welcome addition in the lives of his parents, Roy William and Octa Alma (Thomas) Loper. A time of rapid growth in the U.S., baseball was America’s favorite pastime, and Chaplin movies were all the rage. Amidst these changing times, Thomas’ father worked as a security guard while his mother was a homemaker and also worked on an Army base. The third of eventually eight children, Thomas was raised in Tacoma, Washington where his family made their home. He grew up alongside his siblings, Roy, Virginia, Lewis, Robert, Myrtle, Frances, and Donald sharing many childhood adventures with them. It wasn’t long before the Great Depression placed much financial distress from coast to coast, and young Thomas’ family was no exception. Even so, he led a childhood typical of the times filled with family memories. During his childhood, Thomas’ family was quite poor and lived on the outskirts of town on three acres of land. As a boy he suffered from rheumatoid arthritis which stifled any desire he had to be involved in sports. He attended the local elementary school and graduated from Clover Park High School in Lakewood, Washington with the Class of 1944 at the height of World War II. In high school and during college, Tom delivered newspapers to earn extra money. He attended Pacific Lutheran College, and it was during this time at the age of 19 when Tom’s life turned in an entirely new direction for which he was always grateful. Tom’s mother pleaded with him for months to attend church services with her and on Mother’s Day he finally relented.  Tom experienced conversion that day by giving his heart to the Lord, and his life was forever changed. It would come to be the best decision of his life. Very zealous in his conviction, in 1947 he began attending the Moody Bible Institute studying the mission field. When he suffered a serious flare up of his arthritis, he left his schooling behind for a time and began living with his aunt who was a nurse for his arthritis doctor. Having her care was a blessing to Tom and he returned to his studies. Graduating in 1952, Tom was ordained as a minister that same year at Tacoma Baptist Church in Tacoma, Washington. Tom was attending the Moody Bible Institute when he met a young lady and fellow student by the name of Angela Barker. They went on a picnic together, began dating and before long they fell deeply in love. 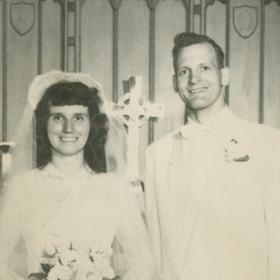 The couple became engaged and on August 22, 1952, at Trinity English Lutheran Church in Grand Rapids, Michigan, Tom and Angie shared vows of marriage. They greeted their guests with a reception following their ceremony at the church. He was 26 and his beautiful bride was 22 years old. With servant’s hearts, Tom and Angie spent their honeymoon pulling a travel trailer across the country from Michigan to California, in order to work with migrant workers. During their time in California, Tom earned his teaching degree and took a job as a teacher in addition to continuing to work in migrant missions. 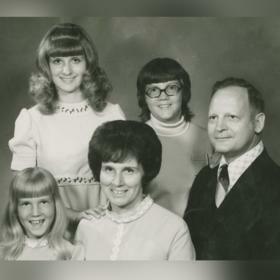 Blessed with three wonderful children, Beth was born in 1954, followed by Cheryl in 1961, and Kimberly completed their family in 1964. Their family moved to Battle Creek, Michigan where Tom started a church in the basement of their home and went on to serve as the pastor of Urbandale Baptist Church for seven years. While there, he went on to earn his master’s degree at Western Michigan University. Another move to Ann Arbor, Michigan found them there pastoring there for two years before they settled in Cedarville, Ohio where Tom served as the Dean of Men at Cedarville University for six years. He and Angie then moved to Chesaning, Michigan where he started and pastored Village Baptist Church for six years. From there they went to Three Rivers, Michigan and worked at Charity Baptist Church. Eventually, they moved to Elmira, New York where Tom became a field director for missions for six years. He then became the Mission Home Administrator for Baptist Church Planters and was vice president in charge of the candidate school for the next four years. Through the years and no matter where the Lord would have them to be, Tom’s beloved Angie was his unending helpmate. She stood by his side, and although it wasn’t always easy, she made a wonderful home for Tom and their family throughout each of their moves. It never mattered where they were planted Tom was always involved in community. Whether serving as a volunteer firefighter or helping at a funeral home, his heart was to serve and he found ways to always be involved. Tom and Angie’s children often wondered if they’d ever retire! Eventually they returned to Grand Rapids, Michigan, bought a condo and became faithful members of Highland Hills Baptist Church. Knowing he could still be used in the Lord’s service, Tom took a job as counselor with Mel Trotter Ministries where he remained for 13 years. He occasionally did some preaching at services there, and drove the big blue bus for outings, which all the men eagerly looked forward to. He finally retired at the age of 86. 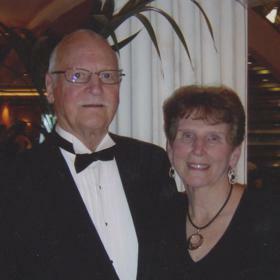 For their retirement their church family gave them a memorable retirement party and a cruise to Alaska they treasured. In addition, Tom and Angie took several cruises to the Bahamas and the Caribbean over the years. A humble servant, Tom was equally a loving and devoted husband and father. He enjoyed fishing and every year he and Angie took their children and later, grandchildren to Pickerel Lake in Newaygo, Michigan for family vacations. There they rented a cottage for two weeks each summer enjoying all the area had to offer. For over 20 years they made many memories during these times that will always be cherished. Tom was an avid reader of historical novels and faithfully studied God’s word. 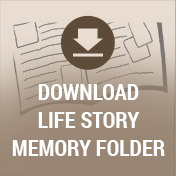 In his free time he enjoyed planting flowers and vegetables in his garden. He also liked college football, especially the University of Michigan. You could often find him in his man cave, working on complex crossword puzzles. He watched Fox News on TV, and he absolutely loved southern gospel music. Quite handy, he took time to tinker in his workshop. There was a whimsical side of Tom, too as he loved collecting crazy socks and silly hats. In September of 2017, Tom developed pneumonia and a bad cough. It kept reoccurring and made him weak. He took a fall in January which contributed to his decline. He eventually moved to the Laurels of Hudsonville for rehab and in April of this year he made the American House Senior Living of Jenison his home. Tom’s health continued to decline and since August 1 he was under the care of hospice. Always to be remembered as a loving and generous man, Tom lived with integrity and a humble nature. An example to his family and all he encountered, he was a hero to his grandkids and leaves a lasting legacy. Tom served his Lord to the best of his ability all while touching the lives of others in the love of Christ. He was a loving and dedicated husband, father, grandfather, great-grandfather and friend to everyone he met. He will be deeply missed and lovingly remembered. Tom peacefully passed away, with his family at his side with the words of, “It is Well with My soul” on his lips. Rev. 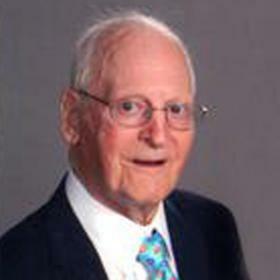 Thomas E. Loper, aged 92 of Jenison passed away Thursday, September 27, 2018 with his family at his side. 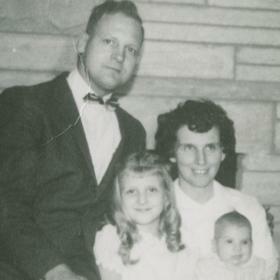 He is survived by his wife of 66 years, Angela Loper (Barker); his children, Beth (Will) Deland, Cheryl (Mark) Schut, Kimberly (Darwin) Baker; 17 grand children and 17 great-grandchildren; brother, Robert Loper; sister, Frances Stender; sisters-in-law, Evelyn Loper and Marilyn Barker; many nieces, nephews and friends. A service to celebrate Thomas’ life will be held Tuesday, October 2, 2018, 11:00 AM at Highland Hills Baptist Church, 1415 Northrup Ave. NW. Burial in Oakwood Cemetery, Plainfield Township. Relatives and friends may meet his family Monday, October 1, 2018, 6-8 PM at Heritage Lifestory Funeral Home, 2120 Lake Michigan Dr. NW, and again at the church on Tuesday from 10:00 AM until the service begins at 11:00 AM. Contributions in his memory may be made to Highland Hills Baptist Church Missionary Fund or Baptist Church Planters of Ohio. To read more about Thomas’s life, to leave your own memory of him and to sign his guest book, please visit his web page at www.lifestorynet.com.